Summertime is pretty much over with school routines just days away. Its already starting to get dark earlier, the humid summer temperature has cooled off. Fall is just around the corner and sometimes something new helps you feel more like you’re starting fresh. My daughter is now in her teen years and needs a little help organizing her personal belongings. This Toiletry Cosmetic Bag comes in handy to keep her personal belongings organized. 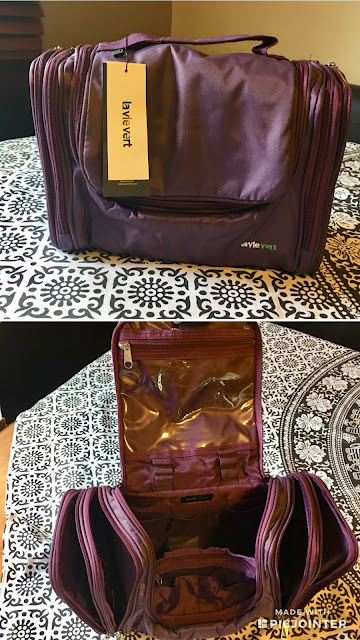 It’s got water-resistant material and interior padding, large storage space with multiple pockets (its a lot roomier than it looks on the outside! ), zippered side pockets, clear pocket for important things and a hook/handle for hanging. You can put a variety of things like deodorant, hairbrush, toothbrush, personals etc. There’s enough space that your things stay organized and don’t get all mixed up. It is actually a travel bag but it can be used in the locker or in the gym bag also! Is your better half as hard on wallets as mine is? He has to change his almost twice yearly so I’m hoping this Mens Black RFID Blocking Bifold Wallet will last time a long time! It’s a cool 100% leather wallet with RFID blocking technology (protects your credit cards and such from being scanned by scammers) and tons of room with 11 slots for your cards, cash and whatever else you carry! The leather gives it an elegant, classy look and soft feel. It's great for both casual and dressy styles. There are so many more stylish items for the home to find online at LaVieVert! You’re sure to find something to get your fall started on a stylish foot! Follow LaVieVert on social media! @OfficialLaVieVert on Instagram and LaVieVert Facebook page! Sponsored post. Products exchanged for mentions. Opinions and comments are those of the author. The kids will be back to school in just two more weeks and although we’ve started (slowly) preparing with things like the bedtime routine, gathering supplies and getting whats left to our supply lists ready, there are still lots of things that need to be done to get everyone prepared. When moms busy, she almost needs a second brain! I was sent over just that; well, almost. 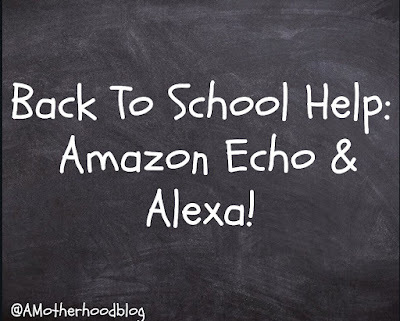 Amazon introduced us to Echo and Alexa to help make the back to school transition a little easier. All we have to do is ask! Amazon Echo is a Virtual Assistant device powered by Alexa that can help you with daily tasks around the home, I’m not kidding. It’s a hands-free, voice-controlled speaker with an expertly tuned speaker and 7 built-in microphones. 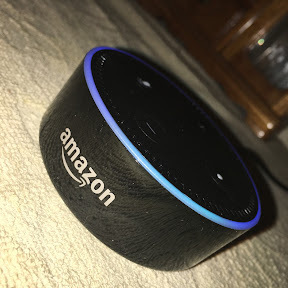 Echo connects to the Alexa voice service to do many different things like play music, add/remove items from a list, read the latest news headlines, hear the weather send and receive messages and more! Because it connects via your Amazon account, Alexa can also make and check purchases for you. All you have to do is ask. Amazon Echo Dot is what I like to call the baby sister. Smaller in size, the Echo Dot can be connected to speakers via Bluetooth or through a 3.5 mm audio cable for louder sound. The sleek and compact design makes Echo Dot is a convenient addition to any room in the house. Perfect for smaller areas like the kitchen, home office or bedroom. It has all the same features as the larger Echo. 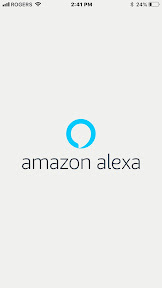 Through the Alexa app, you can set up your Echo and any skills you’d like Alexa to learn such as local newspapers, podcasts, local bus, horoscopes, jokes and fun facts plus more. - Ease of use: Voice control is a real game changer! Even with that, Echo has manual buttons for volume and also a mute button when you don’t want Alexa listening. - Personalization: Alexa is a really smart AI. Info is tailored to you from your name down to your voice. After she gets to know you, Alexa will start calling you by your first name, like an old friend. - Schedules and Lists: Alexa can add/remove events from your schedule, let you know what’s coming up on your calendar and you can even plan an entire day schedule using your voice. 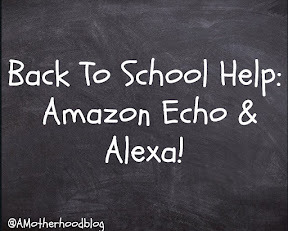 Alexa can also add and remove items from lists like back to school or grocery shopping, all I have to do is ask! 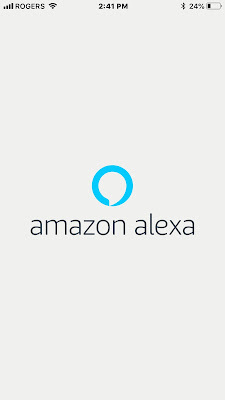 - Music: “Alexa play music” and that she will accessing Amazon (or your favourite) music streaming service. Even if you don’t have a subscription to a music streaming service, you can use Echo as a speaker and play whatever’s on your phone. - Recipes: If I’m ever stumped and not around a device to google, I can just ask Alexa for the best after school snack recipe. There are so many other features, you have to check it out for yourself to believe how cool Amazon Echo is! Here's a little teaser of Alexa telling me about the weather the other day! 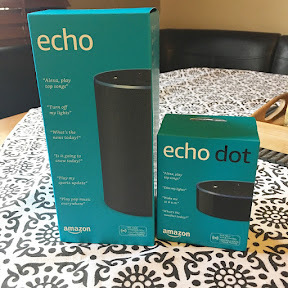 Echo powered by Alexa couldn’t have come at a better time with schedules and homework plus everything else life will throw at us with back to school time, I’m happy to have Amazon Echo by my side! You can find the Amazon Echo and Echo Dot on Amazon.ca! Posted on behalf of Amazon.ca. Complimentary product received in exchange for my honest review. Opinions and comments on this blog are those of the author. Did you know that 2-3 of every thousand babies are diagnosed with Hip Dysplasia per year? Thanks to today’s medical advancements some cases are detected early but it wasn’t always like that. I was born with hip dysplasia in the early 1980’s and have lived my entire life with hip and other problems because, in my day, the technology wasn’t there to detect things like bone malformation. There wasn’t any voice to spread awareness. Doctors (and parents) simply did not understand. I didn’t even fully understand until I was in my 20’s. Imagine had the tables been turned and they had known what to do and what not to do keep babies hips healthy. The following is an important guest post on behalf of the International Hip Dysplasia Institute which is an organization that studies the disorder to maybe one day find a cure and helps spread awareness to parents who can help prevent its development in their babies. When creating their lists of what to buy for a new baby, many expectant parents rely on friends and family for practical advice on what's really needed. Two must-have registry items, a swaddle and a baby carrier, may require a closer look to ensure that you are choosing the safest products for your baby. According to Dr Charles Price, Pediatric Orthopedic Surgeon and Director of the International Hip Dysplasia Institute, "All parents want to select the best for their baby, and in many cases, this also means the safest. 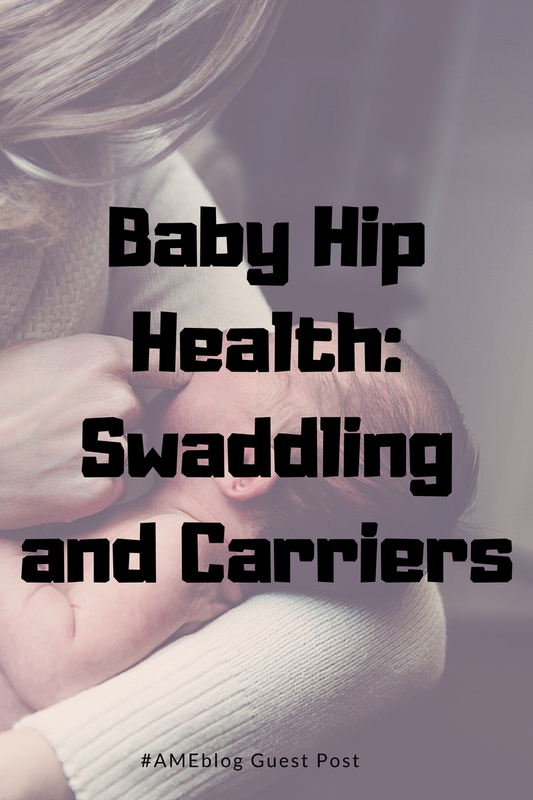 When it comes to selecting swaddle garments and a baby carrier there are specific features parents should look for to ensure their baby's proper physical development." 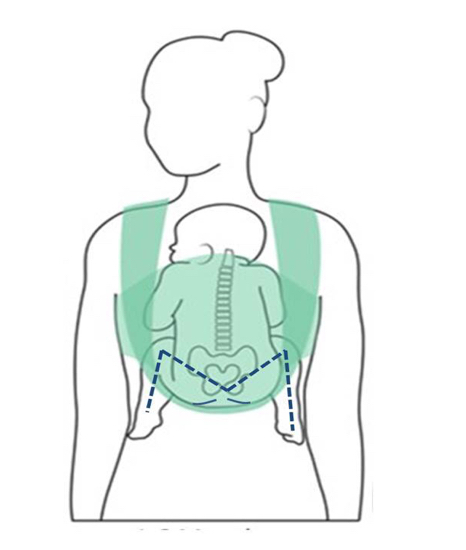 When babies are born, their hips are not fully formed. Products that support healthy hip development are a must to avoid the possibility of post-natal hip dysplasia. Products that do not properly support baby's growing body can directly affect a baby's hip development resulting in lifelong issues such as arthritis and other ailments leading to early hip replacement surgery. - Look for a swaddle garment that features a roomy bottom, allowing baby’s legs to bend up and out at the hips. This position allows for the natural and proper development of the hip joints. - Any swaddle that wraps the baby’s legs straight or pressed together does not support proper hip development. 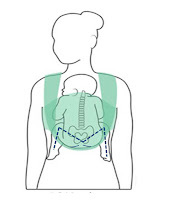 A proper hip position is especially important during the first six months of baby’s life and when the baby is in a carrier for extended periods. 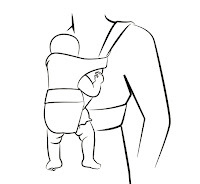 - Look for a carrier that allows baby’s legs to be in the “M” position with the thighs spread around the parents’ torso and the hips bent so the knees are slightly higher or level with the buttocks. The carrier should provide support from the thighs to the knee. 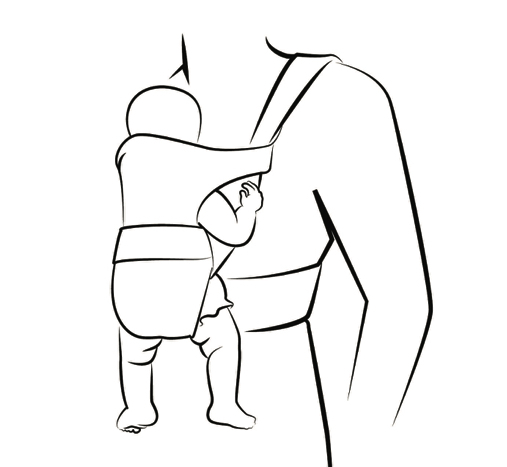 - In a proper carrier, your baby will be in a spread squat position and take on the look of a jockey. The International Hip Dysplasia Institute was created to support parents and patients with hip dysplasia. They provide family support, preventive education and help patients identify physicians who can properly treat hip dysplasia. The U.S. based non-profit is also active in reducing the incidents of hip dysplasia around the world. For additional information on hip dysplasia and hip healthy baby products, visit www.hipdysplasia.org! 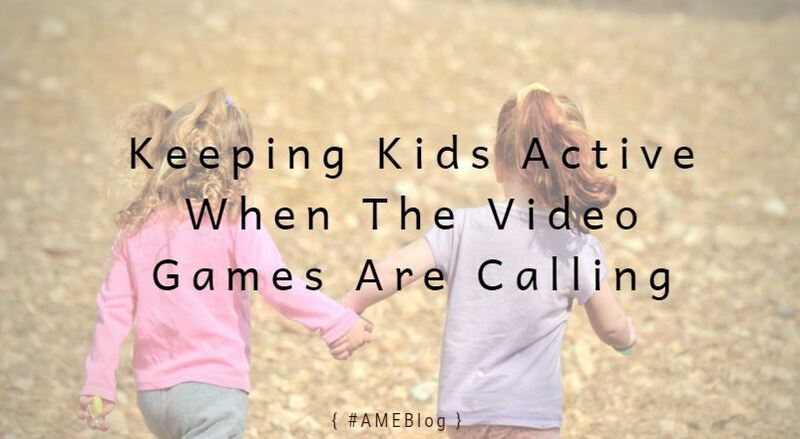 Let’s face it, it can be a never ending battle when it comes to prying kids away from their beloved video games. While a little time spent playing their favourite video games isn’t a bad thing, there are other things they can do with their time. We all know as parents it’s always a good idea to encourage different activities to keep them entertained and active. Here are some great ideas to help keep those little ones active! One idea to help encourage reluctant kids is to involve them in social activities like organized team sports! It's not only a great way to get out and get active but also a great way for kids to start making new friends. There are lots of different sports to choose from; Maybe your kids are interested in basketball, baseball, hockey or even soccer, where teams like FC Barcelona Canada offer classes for children to get involved. Talk to your kids and find out what interests them and encourage it. Swimming is a given in the summertime. It's a great activity to keep everyone entertained, cool and staying active. In the summer, you can visit local pools for fun or even organized lessons. It is a great way to encourage some family time and swimming can just be so fun. 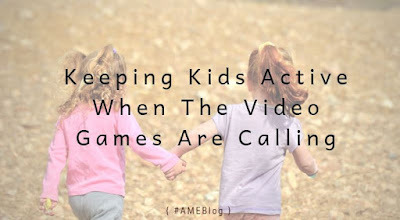 Encourage the kids to help out and at the same time teach them responsibility around the home. The family "to-do" list is never ending and honestly, the more little-helping hands you have, the less time you spend on chores and more time spent on fun. It doesn't have to be anything major, you can assign chores according to age. Simple tasks like cleaning up their own bedroom or doing the dishes after dinner are easy starters for younger kids. If you have a dog, you can delegate the task of feeding, watering and taking it outside for walks. I'm sure as parents, you can find something for them to do to help out! Finally, why not take the time to enjoy the fresh air outside. The Summer months have been great for doing just that with swimming, family BBQ's, and just plain outdoor summer fun! With the cooler months up ahead it's always a nice idea to take advantage of the beauty of nature; take a family nature walk! Family walks are the perfect time to ask kids about their day, what is going on in school and how they are doing. Spending time outside could be as simple as sitting in the garden or backyard and reading a book or helping with homework. Summer is almost over but that doesn't mean you can't still get out and get active! I hope this gives you some ideas to help encourage your kids to get off the couch, get up and be active! Summertime spoiled us with heat waves and sunny weather for the most part. We spent many a lazy afternoon at the local wading pool in July with some day trips cancelled due to thunderstorms in between. It’s been really fun but playtime is over. In just a few weeks the kids are going to be headed back to school and now is the time to start getting everyone back into habits forgotten and getting them ready for their big first days in new grades. Earlier bedtimes are one of the bigger hurdles for us. The kids need lots of sleep to function properly or they won’t survive the first week. I already know I won’t! Summer means the sun goes down later and days are longer. Now that it’s August it’s getting darker a little earlier so we have begun the back to school bedtimes. 7-7:30 for the youngest, 8:30-9pm for the boy and the oldest is allowed to stay up until 10pm. This schedule for them gets them enough sleep and allows them to have an hour of tv/quiet whatever time before bed. School supply shopping is coming up and I know we can’t afford to spend a fortune on all-new items. We already have a habit of keeping still-good items (like school bags, lunch bags, binders, pencil cases etc.) from the previous school year and pick up whatever is missing plus the important things like paper, notebooks, pencils and pens, shoes and new lunch box containers (we all know they lose every single container in a single school year, you can’t avoid it!). Sales and dollar stores. Kids lose things on the constant, even with labels on them. Buying on sale (online or offline)!or even at the dollar store gives us less guilt and worry the kids will have their things lost or stolen. If you have to buy all-new supplies but are on a budget: buy only the basics to start. Most kids don’t need 100 HP pencils and 10 packs of lined paper to start the school year. You can usually find items year round at office supply stores as most kids (and classrooms if the teacher is providing the tools) need a refill mid-year. 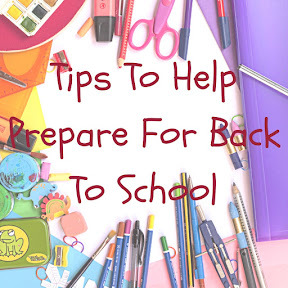 Back to school can be an exciting but stressful time for both kids and parents. No matter what kind of shoes, a backpack or supplies they bring, you are doing your best and they will be fine. Now enjoy the rest of the summer! We always love trying out new toys, games and gadgets with the family. Recently we were sent some fun new samples of what Moose Toys has to offer this fall! The kids will have fun going on a treasure hunt like no other with Treasure X! Search for gold dipped treasure through 10 levels of adventure. Rip, Fizz and Chip away to reveal layers and discover the secrets hidden within. There’s even a chance you could find real gold! This makes a great outside activity (the digging part can get a bit messy as you might have to use water to moisten the “sand” to dig)! I would recommend them for a party favour too! My son had fun uncovering his unique "action figure". Also from Moose Toys - Kids love toys that make the noise and also kids like things that repeat whatever they say. Enter Really Rad Robots Yak Bot! Your back-chatting YakBot can do many things like record voice, warp voice (with 4 cool effects - Pitch Shift, Reverse, Robot, Echo), answer your questions with silly answers and the best, prank your friends! You can find both these toys at most toy retailers like Toys R Us this fall! Enter using the ballot below for your chance to win a Treasure X Collectible toy! Open to Canadians 18+ excluding Quebec. Mandatory entry must be done to qualify. Please see giveaway ballot for full rules. Good luck! Posted on behalf of Moose Toys. Complimentary product received in exchange for our views. Giveaway open to Canadian residents 18+. Please see Giveaway ballot for official rules and how to enter! Opinions and comments on this blog are those of the author.